After weeks of listening to the talking heads brainstorm how to combat ISIS (The Islamic State of Iraq and Syria), it became plainly obvious that no one had a clue. As they always do, the neo-cons beat the war drum, demanding “boots on the ground” to begin another Iraq War. President Obama laid out a plan to arm so-called “moderate” Syrian rebels; the same rebels fighting the Assad regime alongside ISIS. Seeing these extremes, I wondered what a sensible solution would entail. A cursory search online did not uncover anything substantive. The Libertarian Party’s official press release left much to be desired. 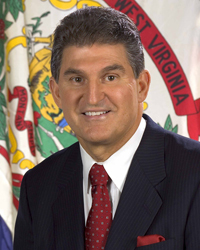 Then, yesterday, a workable solution came to me out of the blue, after seeing an interview with an unlikely source: West Virginia’s Democratic Senator Joe Manchin.